A Visual Look Back At Five Points Festival – AiPT! 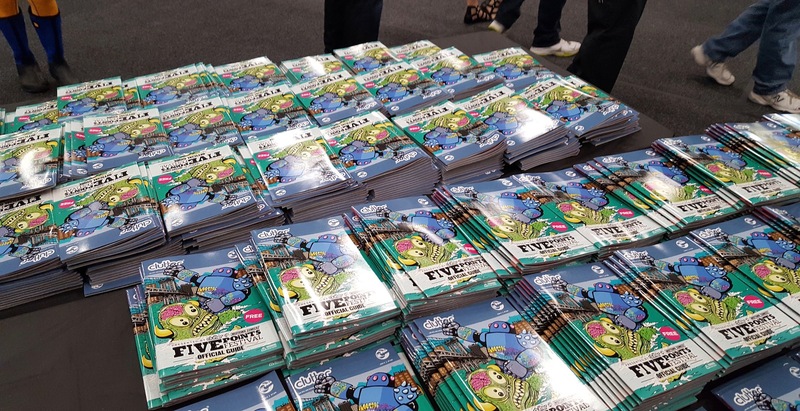 Put together by Midtown Comics and Clutter Magazine, and described by the organizers as “a collision of toys, comics, and counterculture,” the Five Points Festival burst on the scene for the first time this weekend, and AiPT! was there to take it all in. Toys seemed to rule the roost at this inaugural gathering, but there were also food trucks and even BEER to keep the wheels greased on a breezy, NYC spring weekend. Behold, and be jealous! All photos by Russ Dobler.